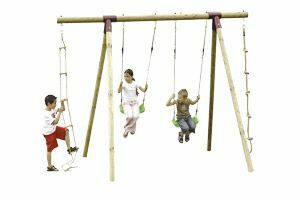 Topwood 15440 Swing Set. 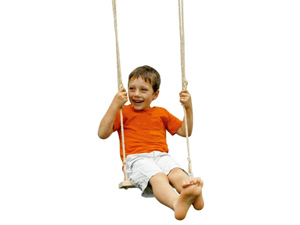 Wooden swing set, 10 yrs warranty (on wood only ) 2 x seats, 1 x rope ladder & 1 x climbing rope. 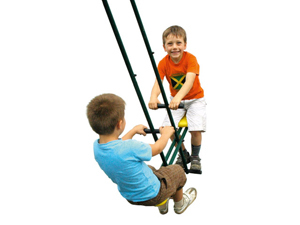 A baby seat for up to 4 yrs can be easily attached, Size : Top pole 300mm, Frame 227 w x 245 d x 250 high. Hours of fun for the active child! Trigano 15440 Swing. 10 yrs warranty. 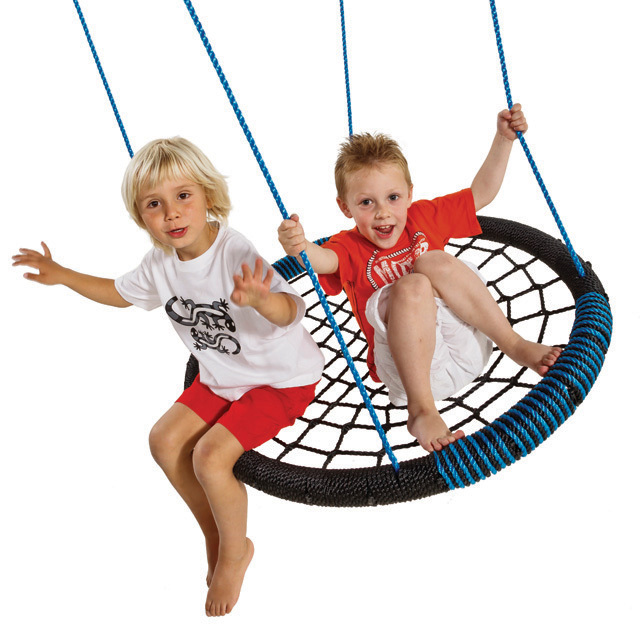 Hours of fun for the active child, has 2 swing seats, 1 rope ladder and 1 knot climbing rope. 227 x 245 x 250 high. A baby seat can be easily attached. See our Baby Seats on the accessories page. 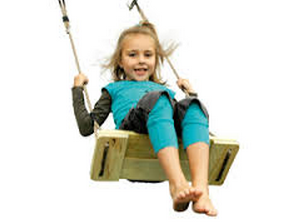 Delivery €35.00, 48 hours except weekends 10 year warranty ( on wood only ) While every effort is made to have the swing set as sturdy as possible, we cannot allow for the elements such as storms and hurricanes. The onus is on the customer to remove the seats in such events and also it is advised to remove them in winter conditions if not in use.